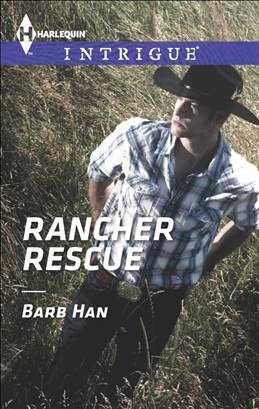 Blurb: When a little boy goes missing, rancher Caleb Snow steps in to help…and winds up falling for the child’s beautiful—but mysterious—aunt in Barb Han’s Rancher Rescue. Getting tangled up with another woman in crisis is the last thing rancher Caleb Snow needs. The handsome cowboy has been badly burned too many times. But this one feels different—Katherine Harper is injured and reeling after an ambush in which her nephew was kidnapped. Caleb wants nothing more than to protect the beautiful, headstrong woman and help her find the missing child. If only he could ignore the feelings she stirs in him. But as they search together, it’s clear someone wants Katherine dead. Soon the two are running for their lives, dodging bullets, not knowing who to trust…or if they’ll survive long enough to bring a little boy home. During the tour, Ms. Han is giving away one $25.00 Amazon Gift Card. At the end of her tour on February 1st, Sizzling PR will be hosting a release party on our Facebook Page from10:00 a.m. until 2:00 p.m. (CST) During the party, Ms. Han will give away three autographed books, another $25.00 Amazon Gift Card and a $50.00 Amazon Gift Card. Barb Han is the author of romance novels and romantic suspense. Her debut romantic thriller, GONE, was released January, 2013, and features a desperate woman who wakes in a mental institution determined to find the son she’s told never existed. Her novella, Seducing Avery, was released early this year, and has received much acclaim due to her unique storyline that features an Asian hero. Another Asian hero romance, The Billionaire Bargain, released early this summer exclusively for Kindle. The wide release is scheduled for late August. Her romantic suspense, Caught In The Crosshair, features a determined sister and an ex-military sniper on a tropical island with a hurricane brewing and dangerous men closing in. This story is now available exclusively for Kindle. Barb is under contract with Harlequin Intrigue. Her first book featuring a rancher from North Texas will be published in early 2014. Barb belongs to Romance Writers of America, DARA, KOD, and NTRWA where she volunteers as often as she can. She graduated from The University of North Texas with a bachelor degree in journalism. She lives in North Texas with her own Asian-hero husband, has three beautiful children, a spunky Golden Retriever/Standard Poodle mix, and too many books in her ‘to read’ pile. In her down time, she plays video games and spends much of her time on or around a basketball court. She’s passionate about travel, and many of the places she visits end up in her books. She loves interacting with readers and is grateful for their support. Please visit me at: Website, Facebook, Twitter, Pinterest. My newsletter subscribers are first to find out about new releases. Thank you so much for having me here today, Melissa. 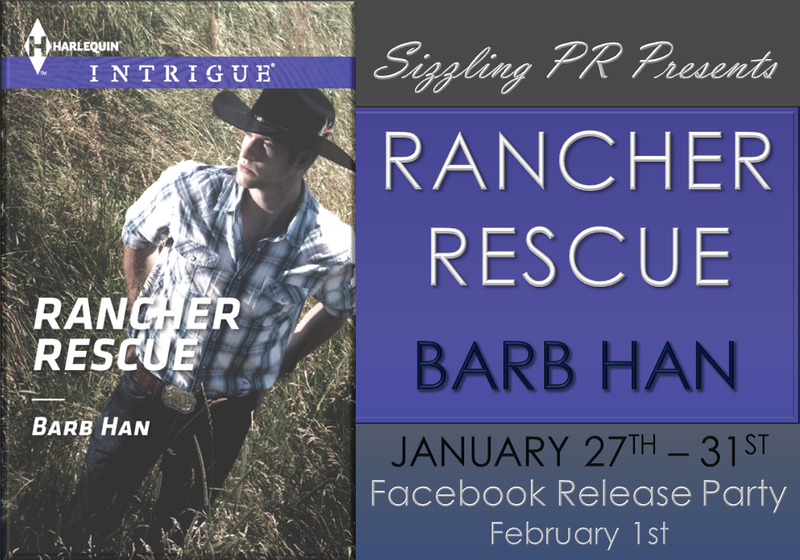 Loved Rancher Rescue! The characters, tension, pacing…wonderful. Congrats! Barb. Thank you so much, Robena. I’m so happy you enjoyed the book!